Ready to launch your Arcadia home search? You’ve come to the right place! 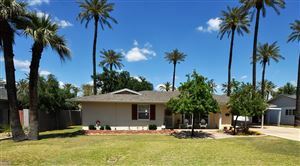 The 85018 zip code feed brings you the very latest homes for sale in the greater Arcadia area of East Phoenix / Central Scottsdale. This landmark community offers buyers one of the most sought after destinations in the entire metro Phoenix area. Defined by large lots with rolling greenery, Arcadia is home to original ranch style homes and the massive multi-million dollar ranches that have replaced others. As central a location as you can find, Arcadia is the spot for the buyer who abhors cookie cutter homes and desert landscape. While the 85018 zip code is known for its affluence, there are lower cost housing options for the more budget conscious home buyer as well. Scroll down to view the very latest homes for sale in the 85018 zip code, or subscribe to the feed to have new listings sent straight to your reader! Want new listings sent directly to you?